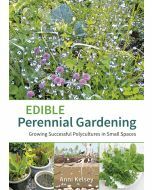 Letting in the Wild Edges shows us how to grow and manage native edible and medicinal plants in our gardens or on the wild edges of the land. 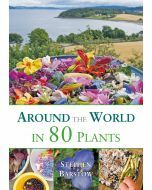 Included are foraging tips and many recipes for making kitchen medicines and delicious food from our finds. By letting the wild native plants into our lives, Glennie helps us to reconnect with our rich herbal heritage and enter into a new relationship with our local environment. 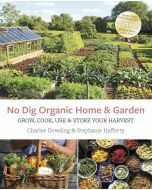 She encourages us to forage, grow and eat our edible natives, season by season, and also to strengthen our health with their healing properties. "Letting In The Wild Edges is the story of this journey. It is a joyful, creative synthesis of both the spiritual and the practical, season by season. It is not only to be read and enjoyed for its artistry, or as a journal of activities and celebrations, we can live it too. This is Glennie’s gift – her ability to navigate an ancient healing pathway – and to open a portal that we can all enter. In doing so we not only bring harmony to our inner lives, we reflect it in our outer actions. We deepen our ability to live more gentle, low impact and creative lives." 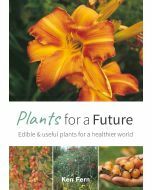 There is so much in this beautifully illustrate book: walking ideas, gardening and foraging inspiration, ways to use native herbs and plants as food and medicine, and chapters on the cycles of seasons and festivals and how we can celebrate them. 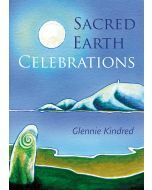 Kindred is evangelical about encouraging us all to benefit from the outdoors and allow the seasonal cycles of incubation and regeneration to be reflected in our own lives and she points out how they can contribute to inner resilience, holistic health and healing. Letting In The Wild Edges is a challenge for us all to let go a little, to try walking barefoot in the grass, engage with the Earth and reflect on how this changes our world perspective.